The fast-tracked joint proposal of Canada, Mexico and the United States to host the 2026 men’s World Cup (of soccer) is a positive development in the relationships between sports and governments after years of graft, corruption and private profits at the expense of the public interest. Sports have the potential to bring us together, to encourage community and physical fitness, but they are also an opportunity for repression, promotion of malevolence and misuse of taxpayer resources. 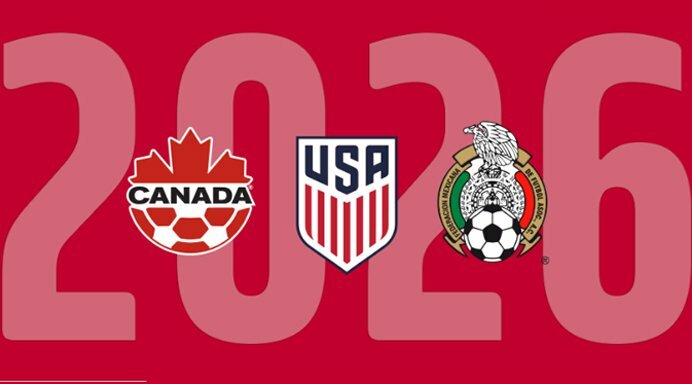 The 2026 World Cup could represent hope for citizens, sports and the future of peace and prosperity in North America. It is one year until the start of the 2018 World Cup in Russia and five years until this festival of sporting competition lands in Qatar, but the lead up to those events has already marred those tournaments in planning and administration. Bribery and other scandals in FIFA, the world governing body for soccer that chooses national tournament hosts, resulted in serious questions about the integrity of the selection processes. Russian aggression in foreign affairs and autocratic crackdowns in President Vladimir Putin’s domestic policy have further delegitimized the organization of the 2018 tournament. Qatar will be the first country in the Middle East to host a World Cup, bringing new opportunities to the challenged global region, but the brutal conditions for migrant workers constructing the necessary infrastructure for the players, officials and fans are inhumane and deadly. Although the excellence on display on the field will be superlative, the impact on the Russian and Qatari people from hosting the World Cups will be minimal at best and deleterious at worst. The 2018 and 2022 World Cups will not be the first global sporting events which exacerbated inequality through the policies to develop and implement the sporting programs. Even the leaders in the United States have engaged in unethical behavior towards winning hosting rights, particularly with regards to the bribery scandal ahead of the 2002 Salt Lake City Winter Olympics. The institutions of globalization that organize lucrative international sporting events benefit their direct stakeholders at the expense of the broader populace. Less than a year after the 2016 Summer Olympic Games in Rio de Janiero, which generated significant income for the International Olympic Committee, its leadership and various sponsors, Brazil and the neighborhoods that hosted the spectacle have seen little long-term economic impact from the huge taxpayer investment. High priced venues constructed for the games are already relics with limited additional opportunity for usage, while the favelas and other communities in Rio struggle from a lack of resources. A 2026 World Cup in North America, however, would not need significant stadium budgets as large modern venues already exist. This is, in part, the result of professional sports franchises already extracting taxpayer funding for stadium upgrades through various threats to move to other municipalities, but the fact that these stadiums will have a purpose and regular tenant before and after the two months of international soccer is a benefit to the bid. It also represents an opportunity to invest in other broader infrastructure improvements to roads, bridges and airports ahead of the showpiece global event. The individual cities hosting games can leverage resources to bring long-term benefits into their jurisdictions, as tourists from around the world experience the local scene and sponsors offer investment opportunities. At a time when the North American Free Trade Agreement is under attack and President Donald Trump is threatening to build a physical wall along the border of the United States and Mexico, the continent-wide collaboration is a welcome compromise across the three allied nations. Canada, Mexico and the United States are rivals on the field, but with fair and equitable public policies the perpetual peace and cooperative connections across a unified North America can benefit all three countries. As the European Union fractures, three sovereign but closely connected North American partners can give the region a competitive advantage. Sports fans may disagree on their rooting interests, but the games themselves our also a unifying moment and shared experience in a fractious world. A North American team has never hoisted the World Cup. In the 20 men’s World Cups, the first one being held in Uruguay and won by the Uruguayans in 1930, the host nation has won the championship five times. Although it is too soon to predict the tournament favorites nearly a decade ahead of the competition, it would certainly advantage Canada, Mexico and the United States to play on home soil in front of the home fans. The World Cup is an opportunity to promote shared values and physical fitness. Whether or not a well-planned and executed tournament shared among Canada, Mexico and the United States can result in a sporting victory for one of those teams, the policymakers and administrators that could bring the games to these hosts could develop a model for victory for the public interest for these countries, the continent and the global community.